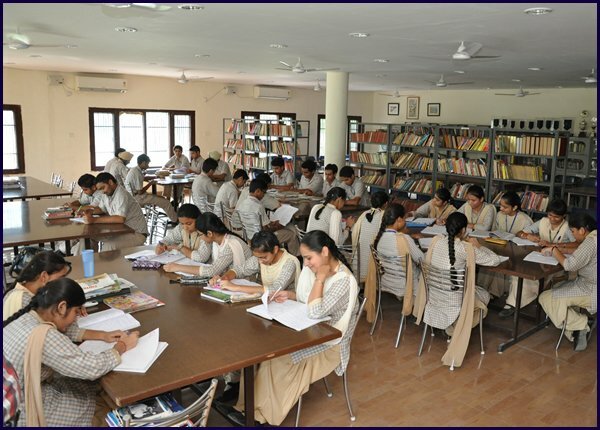 The School has the best fully air conditioned library in the district. It has a spacious hall with a seating capacity of 100 students and is well furnished. 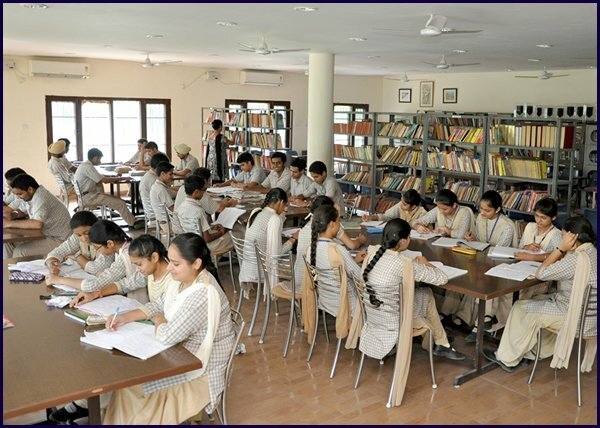 Students are expected to make optimum use of library facilities. There is a vast expanse of books and reference material readily available to which fresh stock is added every year. The school subscribes regularly to a large number of magazines, journals and newspapers to broaden the mental horizon of the students. All the students are the members of the school library. 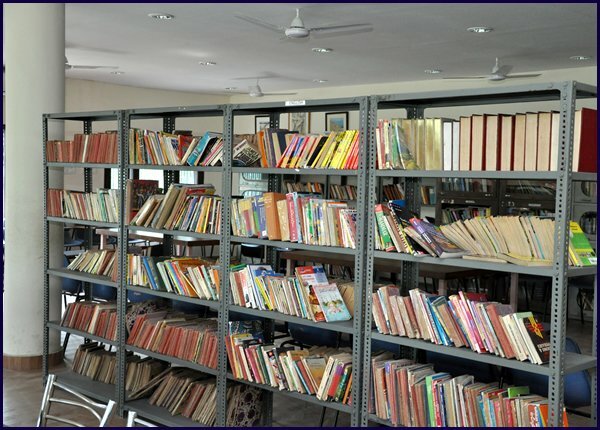 Students from class IV onwards can borrow two books at a time for a week. Books issued are to be properly looked after and deposited on the due date. If books are not returned on due date, a fine of Rs.1/- per day per volume is imposed. If a student loses, defaces or mutilates a book or journal, he will either replace it or pay for its replacement along with the fine. Reference books, current magazines and periodicals are not to be removed from the library. No student is allowed to carry personal books or bags into the library. Only note books can be carried with the prior permission of the librarian. Teaching Staff manage the library committee and /or supervise library work by recommends the books to be purchased and proper distribution of the Library books inculcating the habit of reading among the students.